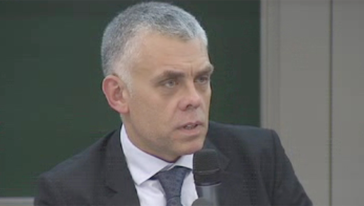 Maciej Popowski is a Deputy Secretary General at the European External Action Service. He is a Polish diplomat, who since the beginning of his career has been working on European affairs. He took part in the accession negotiations of Poland with the European Union both in Brussels and in Warsaw, where he was director of the EU department of the Foreign Ministry between 2000 and 2001. From 2001 – 2008 he was the Deputy Head of the Permanent Representation of the Republic of Poland to the European Union’s Political and Security Committee (PSC). From 2008 – 2009 Popowski was a Director at the Development Directorate General of the European Commission responsible, inter alia, for policy coherence, aid effectiveness, relations with other donors and public information. In 2009 he was seconded from the European Commission to head the cabinet of Jerzy Buzek, President of the European Parliament. Can behavioural science improve public policy? Emerging donors – way out of or into the crisis?